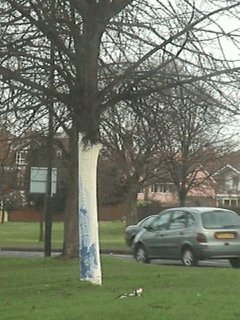 There are several different theories on why this tree was originally painted white. One is as a marker. Whatever the reason, the tradition has been maintained.